Lithuania, Latvia and Estonia are considering the possibility of lighting the coast of the Baltic Sea with fires next year to mark 100 years of restored statehood. 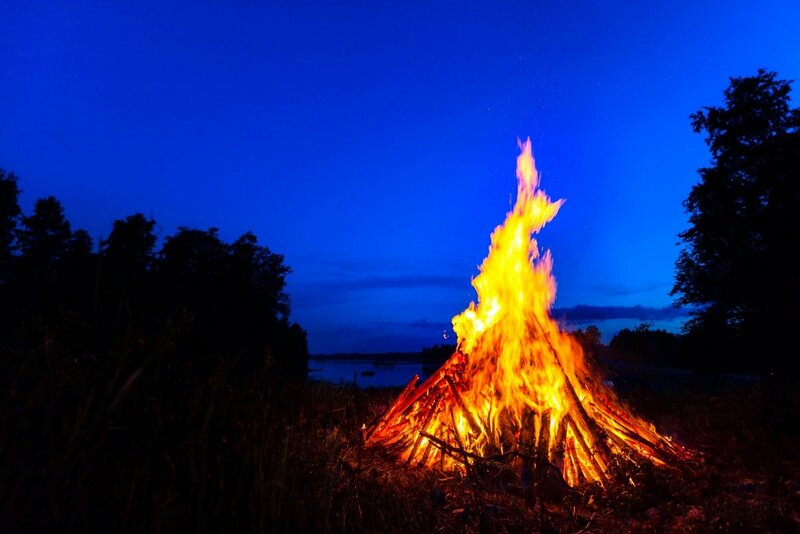 Neringa Vaisbrodė, coordinator of the Lithuanian program of the festivities, told BNS on July 7 that specialists were discussing placement of fires at a certain distance apart along the Baltic Sea coast on Aug. 25 next year and lighting them at the same time. "This would demonstrate out unity and light, as well as unite the communities," Vaisbrodė said. The Estonian idea was discussed by representatives in charge of national celebration programs of the Baltic states and Poland in Vilnius earlier this week. In Estonia, fires on the Baltic Sea coast a lit annually in continuation of the centuries-old tradition to show the path for sailors. The Vilnius meeting also discussed the possibility of proposing the world to clean up their environment on the same day. The campaign Darom is held in Lithuania every year, with similar days also assigned in Latvia and Estonia. It has already been agreed that the Baltic states will launch a joint exhibition of symbolism in the Baltic art at the Orsay Museum in Paris on April 9 next year. In Vaisbrodė's words, the event should be attended by the presidents of Lithuania, Latvia, Estonia and France. The celebration will also include a triennale of Baltic art, followed by a festival of music of the Baltic states at the Berlin concert palace next fall. On Feb. 15-25, foreign viewers will be able to see joint performances of national operas and symphonic orchestras, with plans to also hold joint projects of national libraries. In 2018, Lithuania will celebrate 100 years of restored statehood, while Latvia and Estonia will observe 100 years since the founding of their states.